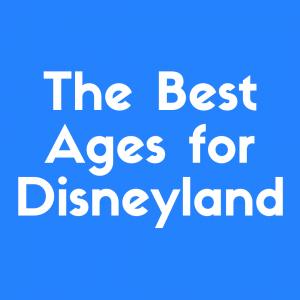 The best Disney World rides, in my opinion, are those that appeal to guests of all ages. It’s why Space Mountain, for example, is such an enduring favorite. With the recent addition of Pandora: The World of Avatar to the Animal Kingdom park, the big question on everyone’s mind is: what can we expect from the two new rides? The last thing you want is to board a ride having no idea what kind of experience you’re in for. If turbulence and drops upset you or you’re reluctant to ride attractions that turn upside down, you want to know whether a ride will put you through that. And on the flip side, if you’re a thrill seeker, you don’t want to board something that’s going to turn out to be a drag. The first of the new Pandora rides, Na’vi River Journey, is a sedate boat ride. I enjoyed this attraction—there’s plenty to see, and as in the whole Pandora part of the park, Disney has done a great job building the world. 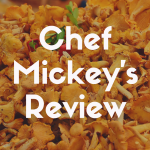 It is not, however, a thrill ride in any sense of the word, and while it’s perfectly pleasant, some may feel it’s not worth the long wait times (usually upwards of 90 minutes) or the use of a tier A FastPass, which is required for both Avatar attractions. But then there’s the headline attraction of Pandora—Avatar: Flight of Passage. A ride that many have been waiting years to experience, this review will cover everything you’re dying to know—from what this ride is all about to whether it’s suitable for very young kids, to whether this is a ride that is too intense or might even give you motion sickness. As usual with Disney attractions, your journey begins even before you board the ride. You’re in abandoned caves that were once home to the Na’vi, the alien creatures from the Avatar film. The queue takes you through the caves, into the jungle, and finally to the research labs of the humans who’ve come to Pandora. You get to see various high-tech experiments the scientists are performing, including something involving a Na’vi avatar seemingly unconscious and ready for use. Fans of the movie will remember that the avatar experience allowed human consciousness to inhabit engineered Na’vi bodies so humans could integrate with the Na’vi population. This is the first aspect of the ride that might be disturbing to children of a certain age—the Na’vi body twitches occasionally as it floats before you and is very lifelike. Young children are unlikely to overthink this very much, but it could be unsettling to some. After you’re through the queue, the preshow begins. A video explains the way the avatar experience works and that you’ll have the opportunity to fly on a banshee, the winged animals that serve as transportation for the Na’vi. Once that’s done, you’re led into the attraction proper. The ride vehicles are similar to bicycles—you’ll sit astride one and be secured by calf and back restraints. This is another point in the experience that can be unsettling to some, as you’re in a small, dark room at the time. Guests have been known to ask to leave the ride at this point due to claustrophobia. I wasn’t bothered by it—-it’s definitely less close than Mission Space, so if you and your children fared all right on that ride, you’ll be fine here. Once you’re aboard, the story kind of disintegrates. That’s not really a problem, though—you’ll be swept up in the excitement of the flight. This is one attraction that’s definitely exciting enough not to need to lean too heavily on plot. In fact, plot is almost a distraction here. The point of the ride is that you’re inhabiting your Na’vi avatar and learning to bond with and fly on your banshee. You’re immersed in the world of Pandora to a degree that rivals any other attraction on Disney property. Is Avatar Flight of Passage Scary or Intense? It’s similar to Harry Potter and the Forbidden Journey at Universal’s Islands of Adventure. On Disney property, the closest comparison is probably Soarin Around the World. As on both of these attractions, you’re on a flight that’s primarily simulated, although the ride vehicle does move around. The flight is smooth; you won’t experience uncomfortable jerks the way you might on an older motion simulator. When doing Disney with kids, an extra layer of consideration has to be added to every attraction. 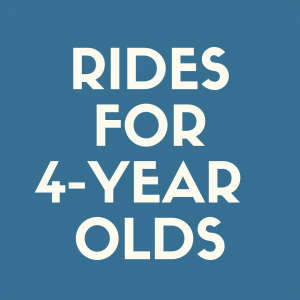 The ride is popular with both adults and children but, like any moderately thrilling ride, parents and guardians should make choices with their particular child in mind. If your child is upset by darkness and unexpected movement, this might not be the right attraction for her. But if your child rode Soarin’ Around the World and enjoyed that, this one will probably be a great adventure. Kids must be 44 inches tall to ride, so plan accordingly. There’s nothing worse than making your way through a long line only to be told you can’t board the attraction (Flight of Passage does offer Rider Switch, so those in your party who met the height requirement would still be able to take turns on the ride.) You also don’t want to waste your FastPass on this attraction if you’re not going to be able to make use of it. Speaking of FastPass, let’s jump into the big question that’s probably on your mind. 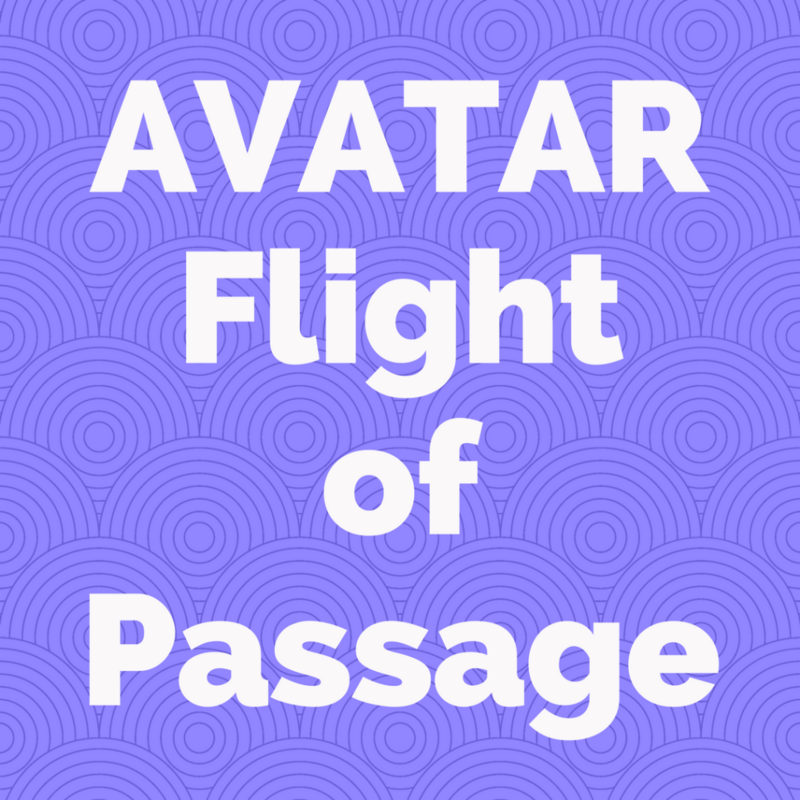 Avatar Flight of Passage FastPass: Do I Need It? Oh yeah. You need a FastPass, all right. Avatar Flight of Passage wait times are not as bad as they were when it first opened. In the beginning, at the height of summer, guests could find themselves waiting upwards of five hours to board Flight of Passage. By all accounts, many considered that wait to be worth it, but we’d all rather spend five hours exploring the Animal Kingdom than standing in one line. The standby lines now are considerably shorter, but you can still expect to wait between one and three hours. The solution, of course, is the FastPass+ system, but there are a few obstacles complicating the issue. Flight of Passage is a Tier A attraction. For those unfamiliar with the FastPass+ system, while guests are able to book three FastPasses at once, only one can be for an attraction belonging to the Tier A group. 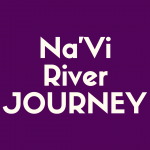 In this case, that means you’ll have to make a choice between Flight of Passage and Animal Kingdom’s other Tier A ride, Na’vi River Journey. You probably won’t be able to get a FastPass the day you visit the park. In fact, this is true for most major attractions, but Flight of Passage in particular. Nobody would be waiting in a three hour standby line if they could just snag a FastPass. So if you want to skip the long line on this one, you’ll have to plan ahead. Even planning ahead may not be enough. 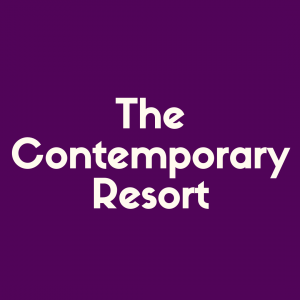 If you’re staying on Disney property, you can book your FastPasses sixty days before your trip, and you’ll probably be able to get any pass you want if you’re prompt. I recommend getting online at 7 AM EST (the time FastPass booking opens up) and grabbing your Flight of Passage reservations before you worry about any other plans. This may sound extreme, but if you want to ride the attraction on the day and at the time you have in mind, you’re going to have to be on top of things. 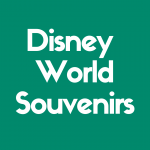 If you’re not staying on Disney property, you won’t be able to book your FastPasses until thirty days before your trip, and you might be out of luck. Once again, hedge your bets by getting online right at seven. Have a flexible plan—if you can’t get the pass for Saturday afternoon, maybe you could rearrange your plans a little and go Monday morning? If you can’t get passes for your whole party, consider splitting into groups. My advice—book it twice. If you don’t love the attraction, you can always cancel the second FastPass after your first ride, but if, like me, you have an amazing experience and want to go again, you won’t have to worry about facing that line! Can’t get the FastPass? Don’t despair. Visit the Animal Kingdom first thing in the morning. Show up for rope drop and the moment you’re allowed through the gates, make tracks over to Pandora. Lines are long in the morning, but they take a good half hour to build up, and if you’re quick you’ll beat the crowds. The other good time to go? Late at night, when everyone’s at the Rivers of Light show. Visiting Pandora in the evening isn’t quite the crowd-beater it is at other places within Walt Disney World, but it is a unique experience that shouldn’t be missed—the world of the Na’vi lights up with blacklights at night, and you’ll really feel like you’re on an alien planet. There’s really nothing else quite like this attraction in Walt Disney World and, in my opinion, you’re doing yourself an injustice if you miss it. Disney is well known for making its attractions immersive, but they’ve outdone themselves this time. As I rode on the back of my banshee, I very nearly forgot I was on a simulated ride at all. The experience was incredibly realistic. For one thing—it’s such a minor detail, but it adds so much to the experience—your banshee breathes. You can hear the huff of its breath and feel its torso expand and contract between your legs. Yes, you’re sitting astride a simulated ride vehicle, but as it gets going you’ll start to believe that this really is a living beast. The attraction also brings in other elements that take the experience from 3D to 4D. The aroma in the room changes as you fly over Pandora. You’ll smell the scent of animals below you and plants around you. As you fly past the waterfall, actual water mists your face. When your banshee dives, air rushes around you, heightening the illusion that you really are being propelled into a free fall. Maybe this is all heightened, as well, by the fact that the entire concept of the ride is that it’s simulated. After all, in the story of Avatar and the story of Flight of Passage, you are not really riding the banshee—you’ve linked mentally with a Na’vi avatar and you’re experiencing the ride through its eyes. In that way, it might be argued, the attraction itself almost isn’t a simulation at all. It’s simply giving you the experience on the box: A simulated ride on the back of a banshee, just like the humans on Pandora experienced. I have yet to speak to anyone who tried this ride and didn’t want to go again. Eight year olds and fifty-year olds alike report that it’s their favorite attraction in the parks—and as of now, it’s definitely mine too. So book your FastPasses, go early, and go often. Keep your My Disney Experience app open and keep an eye on that standby line, and if it drops for any reason, get over there and make the most of it. Avatar: Flight of Passage is a next-level experience. Whether you were a fan of the Avatar films or not, even if you haven’t seen them, this attraction is absolutely not to be missed by anyone who enjoys thrills, simulations, and rides that immerse you in their world. I recommend Avatar: Flight of Passage for all guests who meet the height and health requirements. It is truly a treat for all ages!